Square off your sophisticated look with the unrivaled elegance of the Shinola® Detroit Cass watch. Square polished PVD rose gold case with coin edge detail. Two-hand analog display with Argonite 1069 quartz movement, and one sub-dial. Vertically brushed blush dial face with Arabic numerals, minute track at perimeter, and brand name. 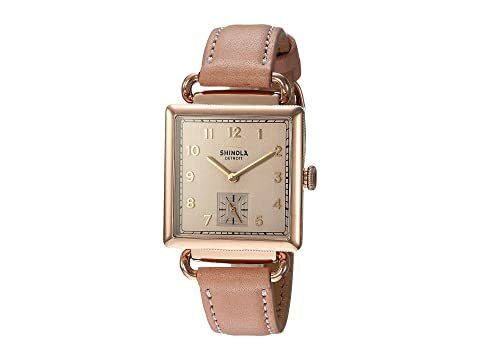 We can't currently find any similar items for the The Cass 28mm - 20065281 by Shinola Detroit. Sorry!